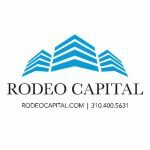 Rodeo Capital, Inc. offers short term financing and bridge loans nationwide. They have been in business since 2012. Their rates start at 7.99%. They can lend up to 65% LTV and 65% ARV. They fund loans within 3-10 days. They are rated 5 stars based on 8 Facebook reviews. Business Name Rodeo Capital, Inc.
Work For Rodeo Capital, Inc.? Claim This Page.